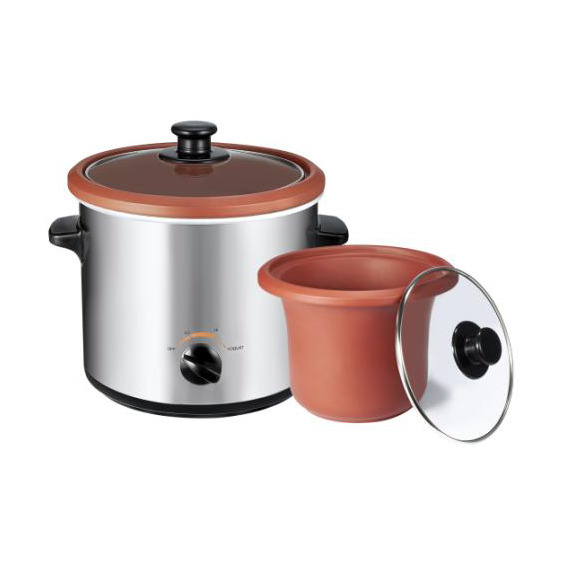 The Slow Cooker includes two temperature settings (High and Low) which lets you decide how slow you'd like to cook. Use the low setting to slow cook over extended periods of time or to keep things warm. Use the High setting if you'd like to cook a bit faster, all the while keeping the benefits of slow cooking intact. The VitaClay Yogurt Maker comes with its own setting aptly named "Yogurt" on the dial. Save yourself over 50% on cost when compared to store-bought yogurt cheese or Greek Yogurt. The chemical free clay insert assures nothing gets between or added into what you make. Choose your own ingredients for the maximum probiotic and calcium content. Control your sugar intake by monitoring the sweeteners you add yourself. No additives, preservatives or thickeners here! Make yout large batch Greek or Yogurt cheese in 5-8 hours. We also include 50 recipes to make your own yogurt, one-pot meals, stews and soups.